Extractions are a lot less common today than they once were as people are taking better care of their teeth and as dentists we are able to save a lot more than we could previously. Despite these advances there are still times when an extraction of a tooth is the only option. If you do need a tooth taken out we are able to take out any tooth including wisdom teeth as we have an oral surgeon available as well as our general dentists. This means you will not need a referral or have to wait a long time to get the procedure performed. Your dentist will usually be able to spot problem areas in your mouth that might lead to tooth damage and a need for crowns. Chewing patterns can play a big role as well. In other instances, crowns are used to replace an actual missing tooth. These crowns are anchored to the teeth on either side, with a bridge section connecting the two crowns. Instead of bridges, single tooth dental implants may be used that eliminate the need for supporting the crowns. We perform most extractions with the use of a strong local anaesthetic.  We always ensure the area is completely numb before we take a tooth out and your comfort during the procedure is our priority. If you are particularly nervous we can arrange oral sedation for you. We are able to extract wisdom teeth at our dental pracice. Most wisdom tooth extractions are performed under local anaesthetic but we can arrange a general anaesthetic if necessary. Our surgeon is registered with most insurance companies so typically your extractions will be covered completely by insurance. Wisdom tooth removal will generally require a surgical approach which means you may be more sore and swollen afterwards. We will give you pain medication and antibiotics to help your healing but you may need to set aside a few days from work to allow you to heal in comfort.